SafegagementTM occurs when engaged employees are safer at work and make better decisions because they care about those they work with, the company they work for, and the overall accomplishments of the organization. How Does C.A. Short Company Help to Promote SafegagementTM in Your Organization? C.A. 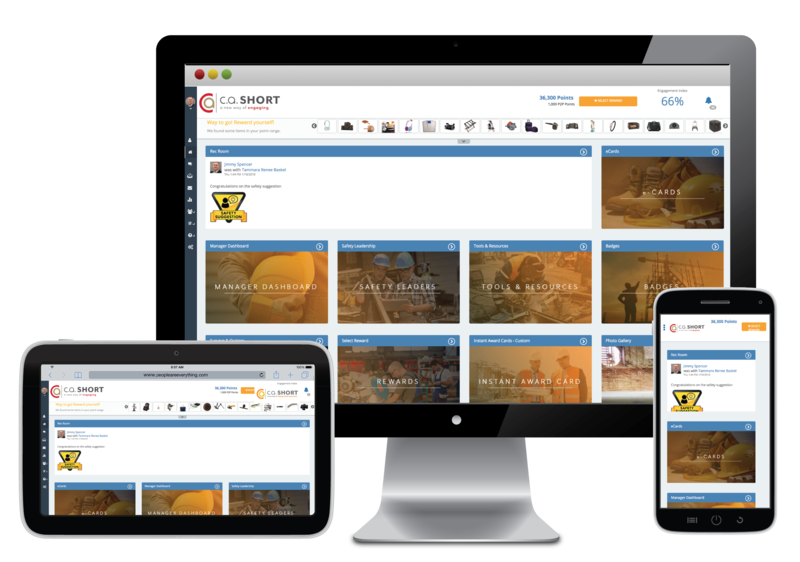 Short Company’s OSHA® Compliant Safety Incentive Solutions can be designed to recognize one-time safety achievements or milestones, measure continuous improvement over time, and/or instantly recognize employees on-the-spot for safe behavior. 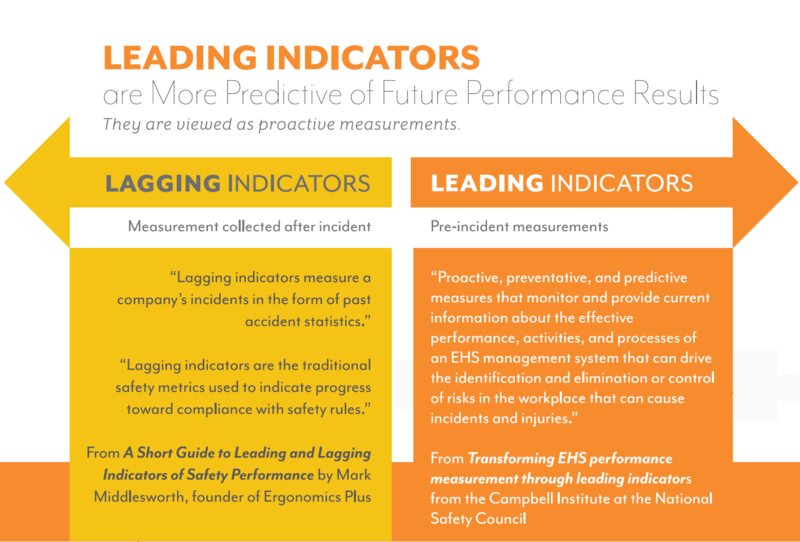 Our safety incentive programs are OSHA® Compliant and promote leading indicators, not lagging indicators. What’s the difference between Safety and SafegagementTM? SafegagementTM adds the element of engagement where there connectivity and ownership at every level of the organization. Your employees are going the extra mile to be safe at work because they care about the organization and they care about their colleagues. They are doing it for the greater good of the company. This is the why of compliancy and it’s so much bigger than just rules and violations. Through the technology of our People Are Everything employee engagement platform, you can manage your safety initiative electronically. Promote cross-generational engagement through Surveys, quizzes, training videos, and checklists. When you consider the human element of safety, you realize that the cost of an accident far outweighs the cost of an OSHA® Compliant Safety Incentive Program. SAFETY IS MORE THAN YOUR EMPLOYEE, IT'S THEIR LOVED ONES THAT DEPEND ON THEM TRUSTING YOU WITH THEIR LIFE. We believe that somewhere, there’s a child, spouse, parent, friend or pet trusting you to keep someone safe. Points, Milestones Awards, or Stamps. After your initial needs analysis, one proven solution we may recommend is a Safety Performance Program utilizing a points system. End-to-end technology plays a role, but this is more about solving business problems - specifically solving safety challenges you face in your industry. Whether recognizing a milestone of safe work hours, celebrating a group or individual for a safety achievement, or looking for an easy, high impact, on-the-spot recognition solution, one of our 21 Safety Milestone award catalogs is the perfect solution. Our Safety Stamps are a high-touch, low-tech solution that has been utilized at facilities and locations across the U.S. and Canada since we introduced the program back in the 1970’s. Safety stamps are high-impact and easy to implement and continue to be a cost-effective safety performance solution to this day. Let us show you how we can design an impactful engagement solution that encompasses total engagement through recognition, awards and incentives.